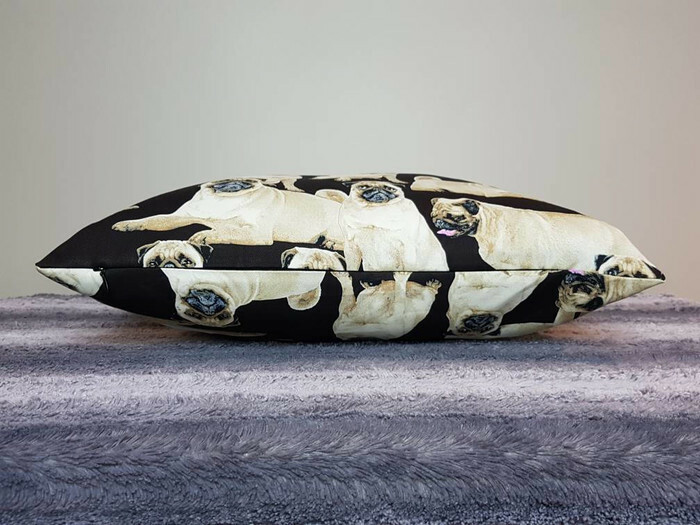 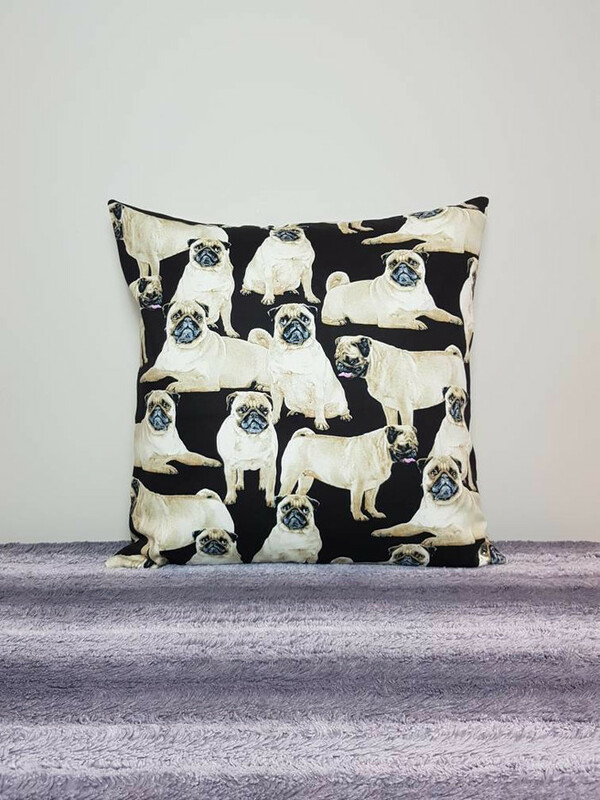 Pug print fabric with pugs in various positions standing, sitting and laying. 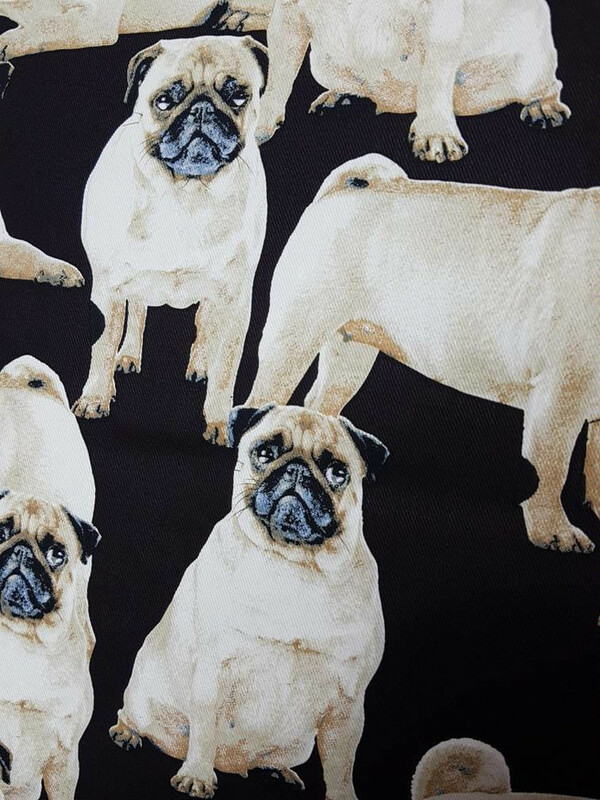 The pug print is on 100% cotton fabric and the same fabric has been used on both sides of the cover. 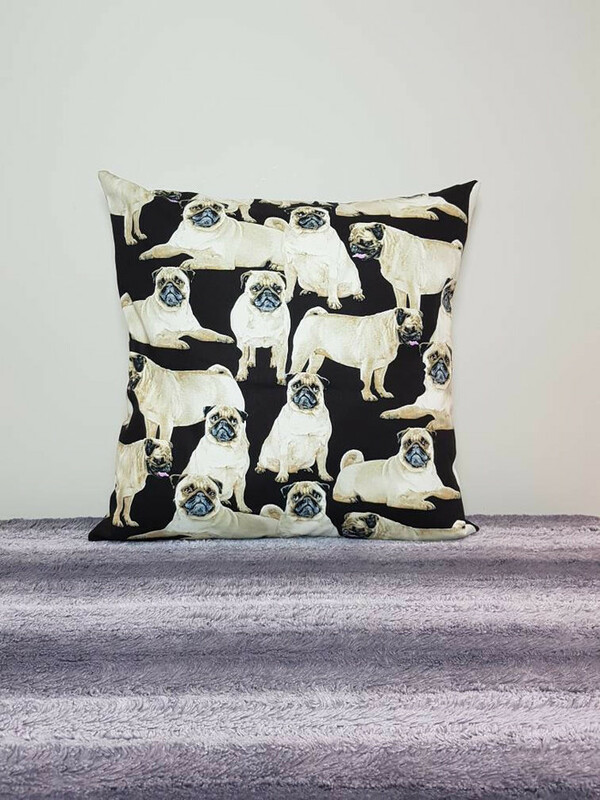 Seems have been serged to prevent fabric from fraying.